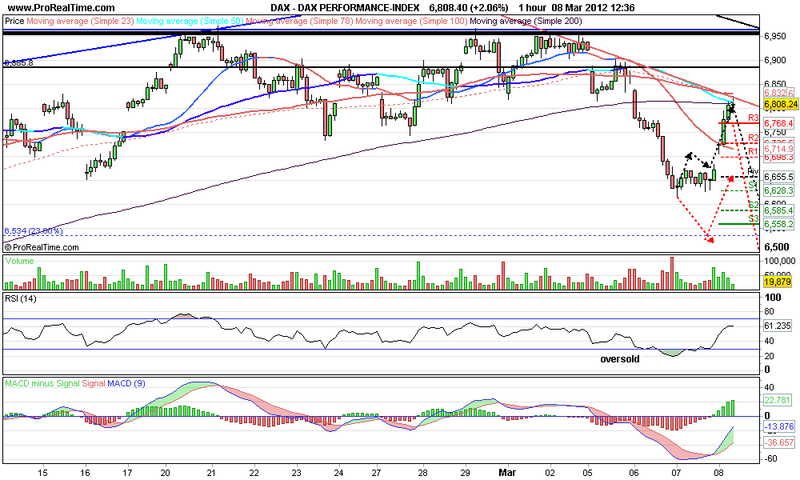 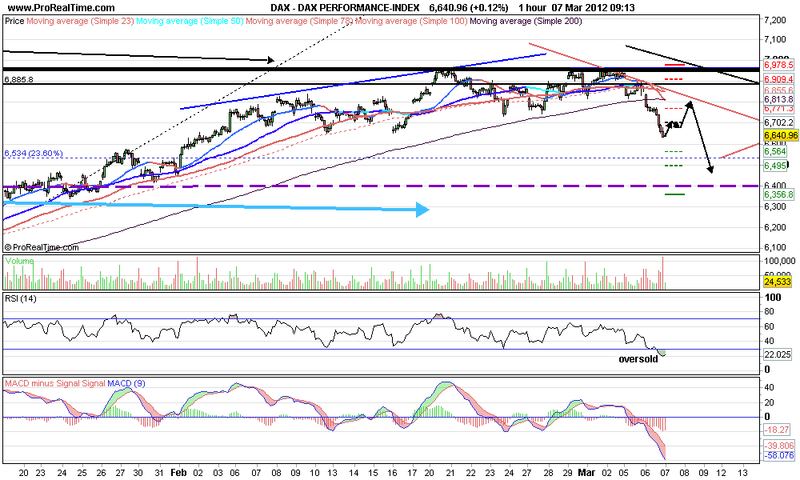 Well the DAX has recovered..
Now is it corrective with another leg down? Or will we challenge the highs at 7000? and below the current updated chart.. 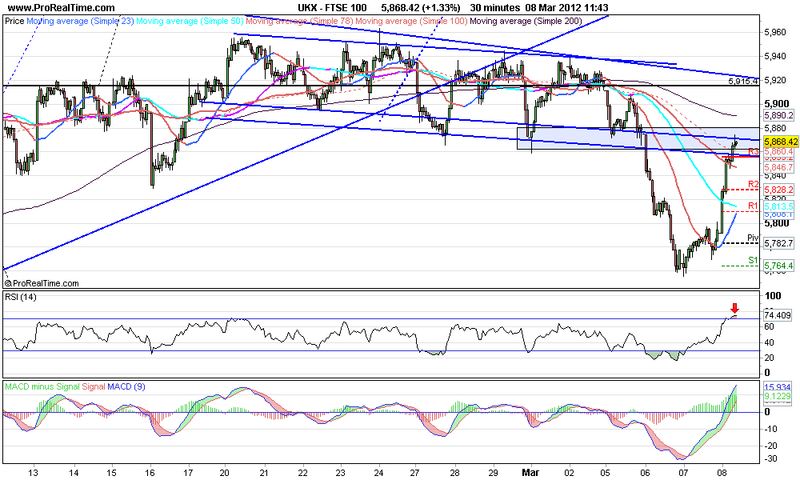 SO FAR it has followed the black arrows almost perfectly..
Quick look at the FTSE 30 mins chart which also shows the rally has touched resistance at 5870..